Scofield Reservoir has been my happy place since I can remember. 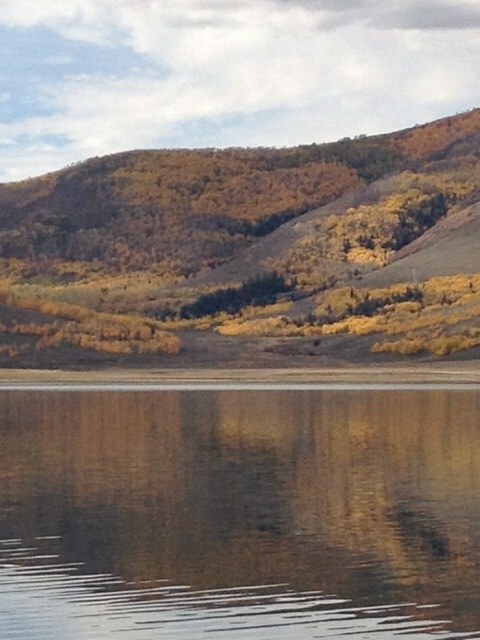 As a young child and then as a teenager, I spent many summer days fishing this reservoir with my grandfather. I would spend every summer in Utah in a small coal mining and railroad town in the Eastern part of the state. The town was named Helper after the Helper Locomotives that would help push the heavy coal laden trains up to the top of solider summit. The time period was the late 60’s and 70’s and life was new and exciting. The summers would be spent working in my grandfathers garden, feasting on huge southern Italian meals, playing with my cousins and bugging my sisters. Most days the garden work was completed by mid morning because the summer heat could be stifling. It was time to gather the cousins and head downtown to the pharmacy. This pharmacy still had an old fashion soda fountain and lunch counter. Many an afternoon was spent sipping on a malt or a soda and eating a hot dog or bowl of chili. The town still had a grocery store that allowed its customers to purchase their groceries on credit. I always loved walking to the store to get a Fanta root beer or orange soda and then put it on my grandparents account. It made me feel like a grown up. Evenings were spent sitting outside listening to my grandfather tell stories about deer hunting and fishing during the good ole days, all while he puffed on his pipe full of Captain Black tobacco. Helper was my Mayberry. It was my Camelot. The first thing that I always wanted to do when arriving for the summer was to go fishing at Scofield Reservoir. My grandfather would always take us on fishing trips to the lake. He would always plan the trips for the day after he watered the garden. The reason for this was simple – we needed night crawlers. My grandfather and I would spend the evening catching night crawlers with a flash light and can. Many fond memories were made in that small town and at the lake. Fast forward 40 + years to today and I find myself at the same lake in the same spot I fished with my grandfather. My grandfather passed away in 1990 and so many other things have changed. Not only in Helper, but also in Utah. The pharmacy is long closed, the grocery store is now a wood working shop and Utah has about 2 million more people living within its boundaries. But one thing has stayed constant, Scofield Reservoir. If only these waters could talk, they would have many stories to tell. I fished Scofield today for the first time this year. The weather was beautiful and the mountains were splashed in oranges, reds and greens. 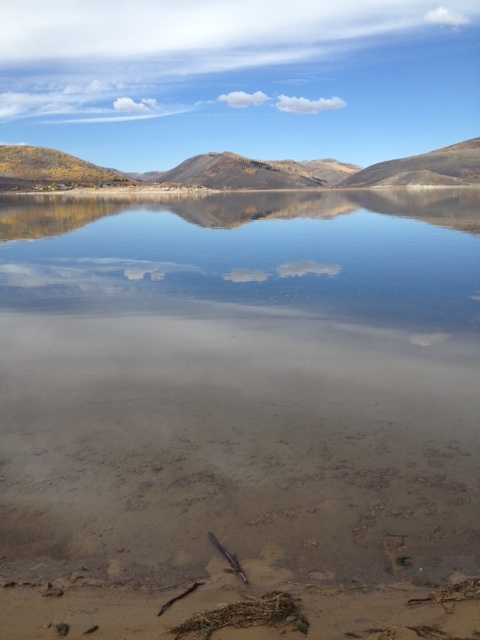 The lake was as smooth as glass and the fishing was hot. There were two boats on the water and no other fishermen on the shore as far as I could see. It was nice to have the lake pretty much to myself. 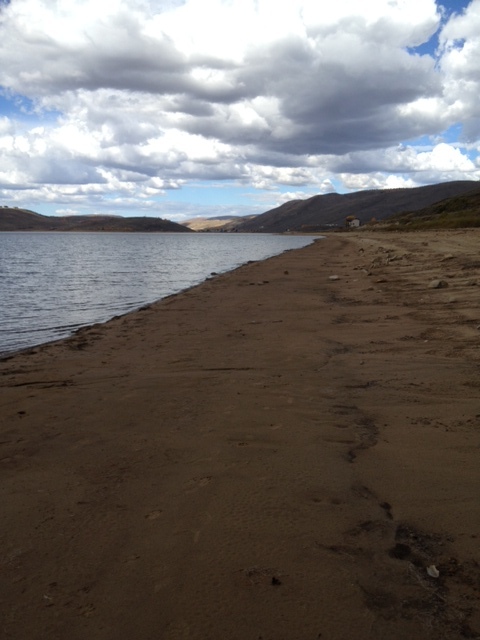 I got to the lake late, about 11:00 am and fished from the southeast shoreline. Every cast brought a cutthroat trout or at least a strong bite. Most of the cutthroats were between 15 and 22 inches. I caught 22 cutthroats over the 4.5 hours I was there. I released all of them except one 12 inch fish that had swallowed the hook badly and was bleeding profusely and I kept the one rainbow trout that I caught. From about 1 -3 the trout bite turned off and the bite was on for the Chubs. Now chubs have never been a beloved fish in Scofield. In fact, many years ago, the state killed off the lake too get rid of all the chubs. However, a bucket biologist released some back in the reservoir and now they are once again out of control. 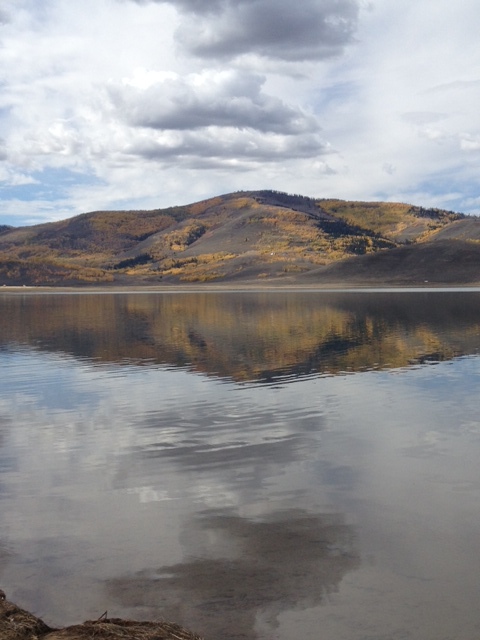 The Utah Division of Wildlife Resources has introduced tiger trout into the lake to control the chub population and they have instituted a slot limit on the cutthroat trout. So far, it appears that they are fighting an uphill battle and are losing. I caught at least 10 chubs and these chubs were fat and healthy looking. In fact, the chubs appeared healthier then the trout. Unfortunately, I did not catch any tiger trout. The chubs I did catch were huge and I can’t imagine that the tiger trout or the cutthroat could swallow them even if they caught them. 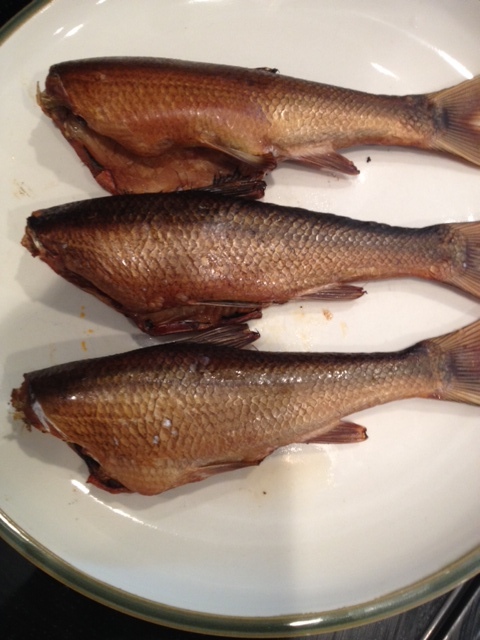 I kept the chubs and I am going to try a recipe to smoke a few of them. I am also trying to find some different recipes for cooking the chub in a more traditional manner, (fried, baked, roasted etc.). 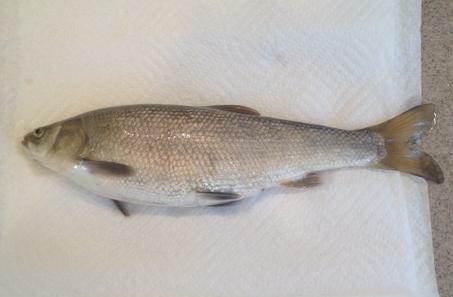 The Utah chub was actually an important food source for the Native Americans that lived in Utah since the end of the ice age. I will share the recipes if they turn out good. Over the years this lake has provided me with many memories and inspiration and I hope that it will stay frozen in time for the next 1000 years! It is my happy place. This is a great article from Hank Shaw’s, honest-food.net blog. He has some wonderful recipes and foraging information on his site and you should check it out. This recipe is for Salmon candy. This is a simply recipe for quickly smoking your fish. 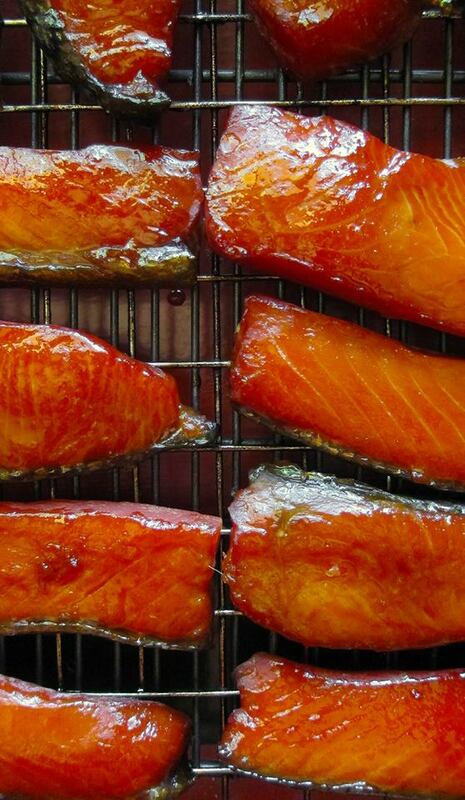 I use this recipe to smoke most of my trout and salmon. Once I smoke the fish, I then wrap the fish in aluminum foil, stick in a Zip-Loc bag and place in the freezer. This way when I have guests over for dinner and I want to have a tasty appetizer, I just thaw out the frozen fish and make the appetizers. 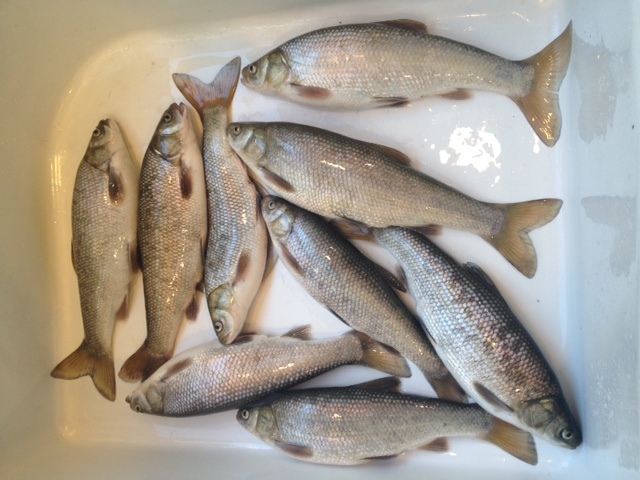 Place fish in brine and soak in refrigerator for 24 hours. Remove fish from brine and pat dry. Let the fish sit for about 30 minutes. After 30 minutes a shiny tacky film will appear on the fish. The fish are now ready for the smoker. 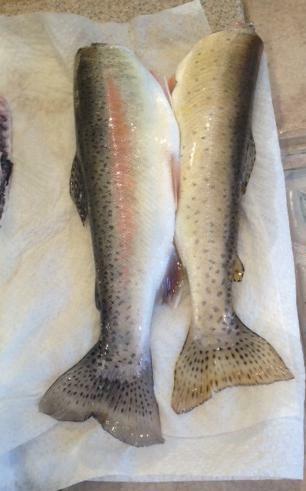 Place your fish into your smoker. Only use about 1-2 ounces of apple wood. Smoke the fish at 170 degrees for 3.5 hours. After 3.5 hours, remove this fish, let cool and wrap and freeze. Mix ingredients and allow blending together in refrigerator for at least one hour before serving. 1 box of Water Crackers or your favorite type of cracker. Spread a layer of cream cheese on the crackers. Crumble some of your smoked fish or salmon over cream cheese and put the topping on top of the fish. This recipe will be a hit at your next dinner party and is very easy to make.